As of Fall of 2017, we are beginning the process of Revisioning the Parish Pastoral Council. Last April Bishop Mitch made a pastoral visit to St. Francis of Assisi Parish. One of his recommendations was that our Pastoral Council move away from being a council concerned with the "nuts and bolts" of the parish to a council that is truly pastoral in nature and one with a vision. The new process will begin in October and will take a number of months to truly form the new Pastoral Council. After that, there will be parish gatherings where parishioners will have input into annual parish goals. We will update this page as things move forward. In the meantime, the people and committees listed below continue to be the contacts in our various activities and concerns in our parish. 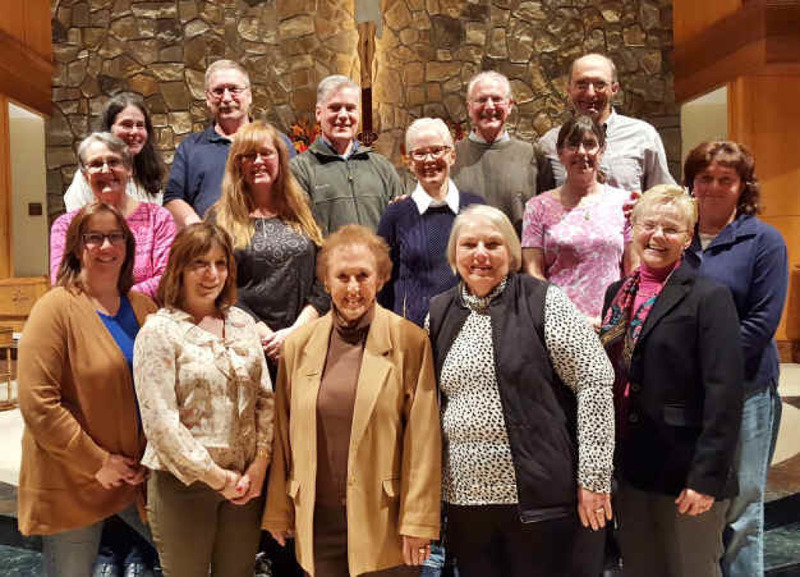 The Pastoral Council is an organized body of appointed, elected, and volunteer parishioners who meet monthly on the first Tuesday of the month at 7:30 PM to address the pastoral needs of the parish. For more information about the Council or one of the Commissions, contact the person(s) listed below. The Adult Education Commission plans, coordinates, and conducts programs that will develop in each parishioner a better understanding of Christ and the Mission of the Church. This commission works to enhance current programs and establish new ones and provide educational materials and opportunities to parishioners. 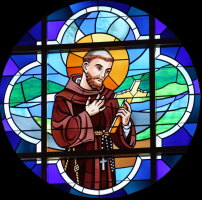 As a faith development commission we would like to follow in the footsteps of the parish patron saint, Francis, and educate the community in the tools of our faith. Within this context, we want to teach love, peace, hope, respect, and harmony. The commission objectives are to offer: A) Adult Bible Study, B) Evangelization, and C) Special programs to enhance the faith journey for parishoners. The Communications Commission is responsible for keeping the parish informed about all phases of Council and parish activities through all available means of communication (e.g., bulletin, posters, Sentinel, online resources, etc.). The Communications Commission creates and maintains the parish brochure and the new-parishioner welcome packet. They are also responsible for the production of the monthly activity calendar and the formation of posters and advertisements for publicity of parish events. This Commission also oversees the parish's annual appeal for new commission members. --To foster a greater sense of community, which focuses on shared understanding of common Catholic, Christian values: a) faith b) love of God c) love and respect for one another d) charity e) honesty and integrity and f) thankfulness for God's blessings. --To improve the quality of communication within the parish. This commission plans, coordinates, and conducts programs which WILL fulfill the temporal needs of the parish. They also work with the other churches in town to plan and conduct ecumenical events for the entire community. Some activities coordinated or overseen by this commission include the annual parish picnic, CYO basketball, food pantry, bereavement group, and the annual CROP Walk. This parish is a blend of people, their gifts, their needs, their interests and their points of view. In a time when there is so much upheaval in the world, it is important to the parishioners to have a sense of community in their lives; they want to feel welcome and to be part of parish life. This committee is concerned with building community in the parish and fostering that sense of belonging. In order to build that community, we need to help parishioner’s better deal with today's issues and challenges. The Hospitality Commission oversees and coordinates parish receptions, potlucks, and other hospitality, as needed. This group coordinates the refreshments served after such special liturgies such as Confirmation. They also organize the annual Holy Thursday potluck. The Marriage Enrichment Commission has the responsibility of addressing the marriage enrichment needs of this parish community. The Commission will seek to promote opportunities for lifelong learning and faith enrichment for all couples. The Commission supports Teams of Our Lady, or "TOOL", which is an international movement of married couples who gather in communion and friendship to support their Christian faith in a daily living experience. The Spiritual Life Commission plans and coordinates the activities surrounding the liturgical celebration and the sacramental rites. They plan, coordinate, and conduct programs that will enhance the spiritual well being of the parishioners. Some activities coordinated by this commission include the Way of the Cross, Holy Week events, the Lenten mission, the Mercy Sunday ceremony and the St. Francis of Assisi Transitus Service. --To assess the spiritual needs of our parish. --To reach out to the homebound, the sick, the elderly, and families in need. --To provide opportunities for spiritual growth through the planning and implementation of retreats, missions, ministerial workshops, evenings of recollection, vespers, Stations of the Cross, penance services, and special liturgies for the different seasons. --To promote and support the activities of the altar society. --To recruit, train, and oversee the services of lectors, Eucharistic Ministers, ushers, and altar servers. The Vocations Commission builds vocational awareness within the parish. This commission is open to all men and women who are interested in assisting in discernments and promoting vocations for priests, brothers, and sisters, as well as encouraging Lay ministry. This commission acts as a liaison to the Diocesan Vocations office as well to the existing Knights of Columbus Vocations Director and oversees the vocations cross program and the annual diocesan Christmas gift card program for seminarians and religious.